Help LFE impact 200 thousand more children in govt. school systems! 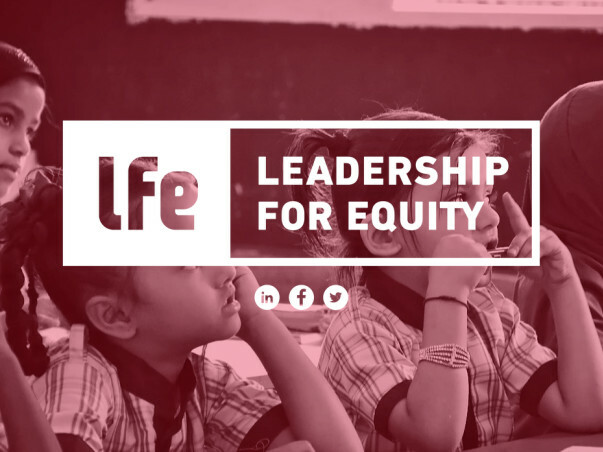 Leadership For Equity (LFE) is born from a coming together of committed practitioners who acknowledge the complex, multi-faceted and multi-layered nature of educational inequity in India. We are a team of 24 members - 60% of us have worked directly with the children in the classrooms and/or with teachers/parents in the communities, for more than 5 years now. 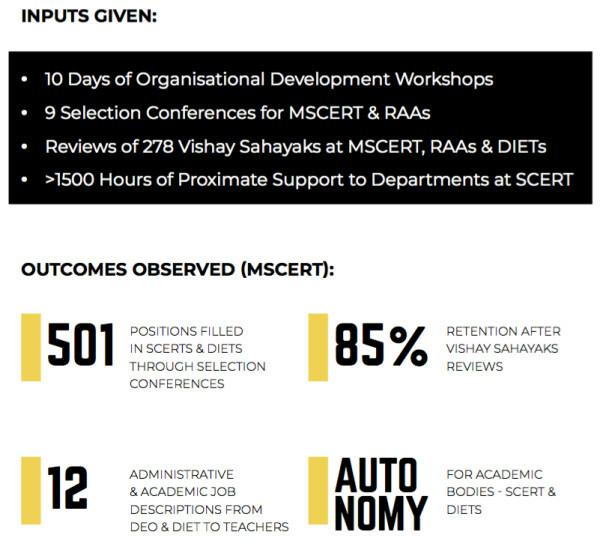 Over the last 3 years, we have been working closely with the stakeholders in the Maharashtra government system, right from the Ministry officials to the teachers in the schools. 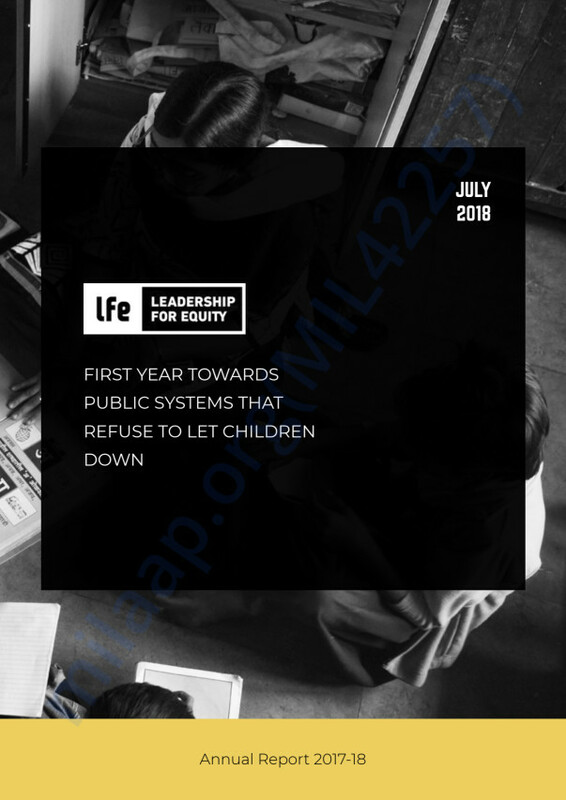 Our approach is firmly rooted in the belief that public systems are by definition, the gatekeepers to equity and that sensitive and effective public systems will ensure that all children learn. 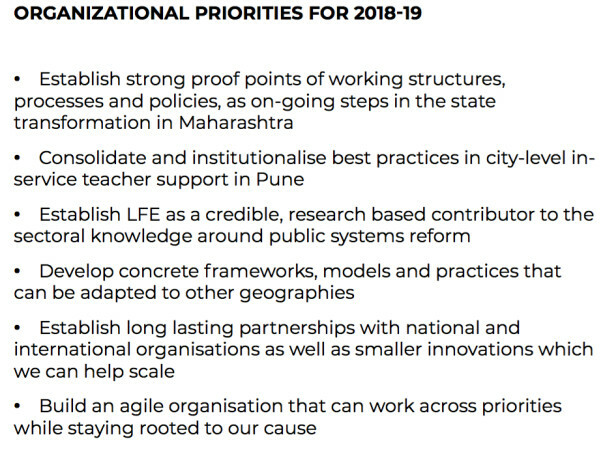 LFE's current scope of work is in Pune with the Pune Municipal Corporation (PMC), Nashik through Nashik Zilla Parishad and with the Government of Maharashtra, School Education Department. What we were able to achieve in 2017-18? Where does your contribution to this campaign go? Much beyond these numbers, lies our fundamental belief that 'Transforming Systems is ultimately about Transforming the relationships of the people that shape the system' and it takes every one of us, and every one of YOU to be able to make the shift in our system happen. Dear Supporters of LFE Campaign! Thank you so much for helping us raise more than 3.5 lakh rupees through the crowdsourcing campaign on Milaap! 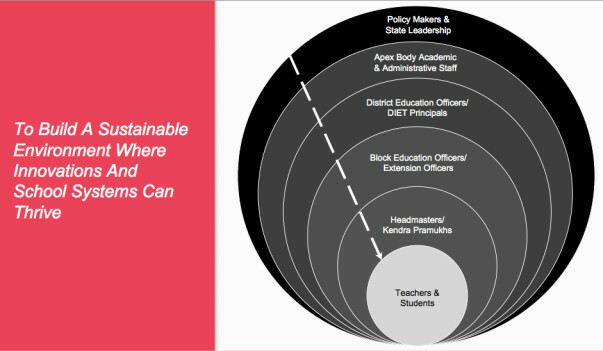 We are truly thankful for believing in our work; helping us expand our impact into newer geographies in Maharashtra; and bringing us a step closer to our vision 'Building Public Education Systems that Refuse to let children down'. We will be sharing all the project updates with you in a detailed way. Once again, I'd like to sincerely thank you for your kind support towards our vision. 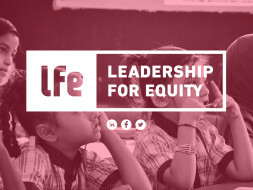 Watch the Founder CEO, Madhukar Banuri talking about LFE and his journey to start LFE.